A UN-brokered truce in Homs is near (or past) its original end time, though evacuations have continued. I wrote about the situation as it existed last week. Over 1,000 civilians have moved out of the last rebel-head pockets of central Homs. Tuesday the flow of aid and refugees stopped entirely, and men near fighting age have been detained and their ultimate fate is unknown- whether a brief interrogation or an accusation of being a rebel fighter. International groups have reason to be concerned, given abundant evidence that civilians and fighters alike have suffered state-sanctioned torture and execution. With the last remnants starving and vastly outnumbered, the bloody government victory in Homs could have larger implications. 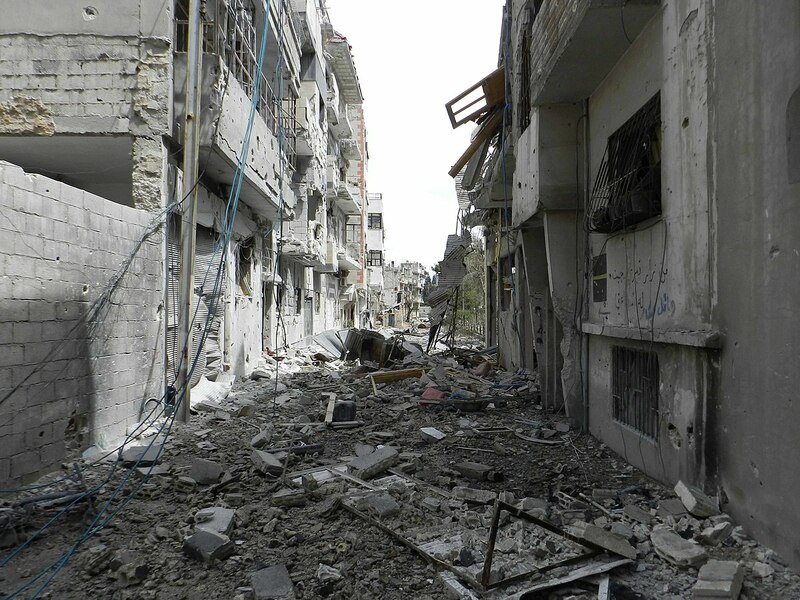 With Homs ‘pacified’ and depopulated, resources could be used to retake other cities that have split control. Whether the various anti-government factions can prevent Assad regime gains remains to be seen. There are 27 million enslaved people in the world today. To put that in perspective, that is more than at any other time in history. It is perhaps the greatest failing of modern societies- every country has abolished slavery, and yet it is an epidemic of unprecedented scale. In the twentieth century, we eradicated smallpox, stopped famine in dozens of countries, and made strong progress against malaria and cholera. It would seem that with technology and international cooperation, we are on the path to ensuring basic standards of living for all people. The Millennium Development Goals – an ambitious set of priorities created by the United Nations, is being met (PDF, look at p. 2 for a good chart) in many instances, or at least there is some progress. Yet we have failed to stop humans from owning other humans. It is endemic to all continents- from indentured domestic workers in southeast Asia and the Middle East to sexual trafficking in San Francisco. Our own country has never wrestled away the demon that is slavery. Though the war between one half of American and the other eventually declared slavery an abomination, the white plantation society continued working with sharecroppers rather than slaves. California ignored the Thirteenth Amendment and continued to make ‘vagrant’ indigenous people into slaves- well into the 1870s.